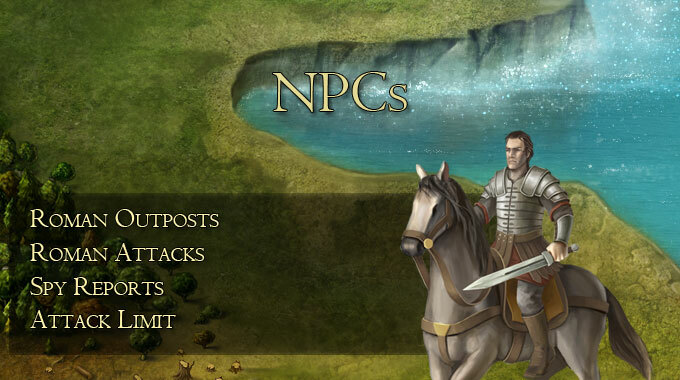 You can turn to them in times you need a resource boost for your kingdom. We have more advanced functions for them in store, but we will get to those in time. 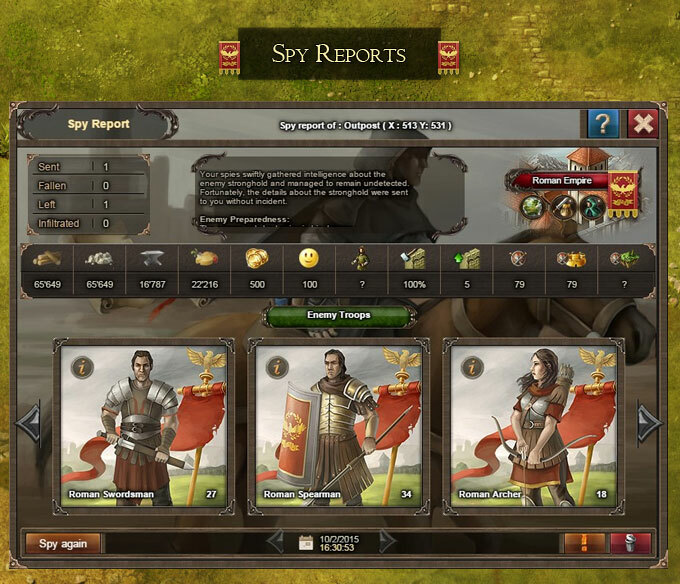 The spy report provides information about the resources, army and fortifications of the roman outpost. Romans will send marches to attack and plunder your empire`s castles. You can view their numbers in the march notification menu once they come closer to their target. 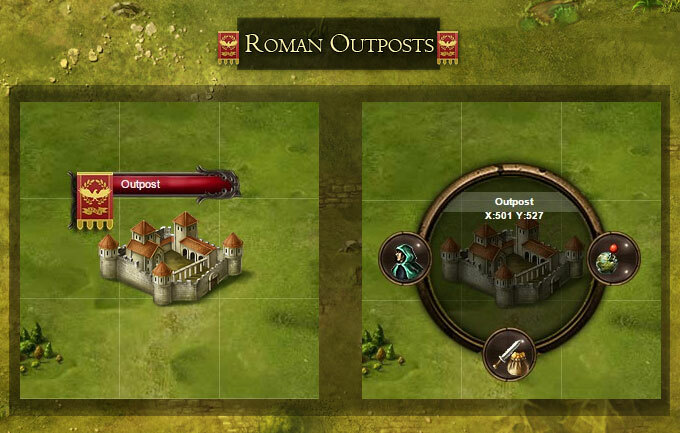 You can attack Roman outposts 15 times each day. The 24 hour count down is individual for each of the 15 attacks.